This article is co-authored by Eugenia Lee. Voluntourism is when individuals take trips abroad for the purpose of "seeing how others live" and "giving back." The problem is, these trips can create simplistic, self-serving narratives. Voluntourism can be harmful to local communities, while primarily benefiting the voluntourists -- maybe even providing them with the perfect profile picture. On the other hand, good intentions exist, and exposure to alternate realities can be valuable. The question is, how do we create a better volunteer model? We need a new framework for volunteering abroad that is empathy-driven rather than sympathy-driven: the Leadership Growth Experience (LGE). Voluntourism falls on the sympathy-driven end of a spectrum, implying pity and exoticism of foreign communities. LGE is on the empathy-driven end of the spectrum, focusing on dignity and understanding. During an LGE, volunteers seek to engage with and learn from the community they are interacting with. The focus is on fostering empathy, humility, mutual multi-cultural understanding, and experience working with constrained resources. What is traditional voluntourism? We're talking about the quick, build a school style trips where the voluntourist doesn't ask the community if it even wants a school, or try to understand the local historical and political context. Problems with the voluntourist industry itself are numerous; voluntourism can perpetuate the savior complex and create exploitative behavior. To the voluntourist, we pose the following questions: Why are you working with that community? What skills do you bring? Why not work with a disadvantaged population in your own community? As Ivan Illich says, at least let them say "Go to hell" in a language you all understand. The Leadership Growth Experience is an alternative way to think about volunteering abroad, one that is a sustained experience -- longer than three months -- where an individual does intentional work or facilitates a research project that provides new insights by working with the community. The aim is to foster dignity by respecting the complexity and nuance of the experiences of community members. There are some organizations that attempt this (World Learning, Peace Corps, VSO), but LGE doesn't necessarily share the illusion that the volunteer is there to make lives invariably better as much as it is a learning experience. The LGE is differentiated not by feelings of exceptionalism for "doing good," but by gaining tangible skills and perspective that continue to add value throughout your career. In building out your Leadership Growth Experience, intention, preparation, and attitude are key. What is your motivation for the trip? What are your personal growth intentions? How much knowledge do you have of the type of work you'll be doing, and of the cultural and socioeconomic factors, environment, and approaches in the community? Lastly, remember the distinction between sympathy-driven and empathy-driven. Apply this lens when reflecting on your work and interactions with others abroad. As an undergraduate in college, Eugenia's LGE was spending a summer in Kenya with a local non-profit, mapping out informal schools in a slum. She chose to do this work because she spoke the local language, having previously spent four months studying in and learning about the history of the country. While she loved her interactions with the community, she had no illusion that she was going to save anyone--she was there to learn, listen, and contribute to knowledge that the community could benefit from. She ended up working in Kenya for two more years. Similarly, Hila spent 10-months immersed in one community in India, with the goal of better understanding and co-creating solutions with that specific community, instead of importing top-down, one-size-fits-all solutions from the West. She was more keen on learning, and reporting on her findings to help stakeholders better understand this community than implementing projects that would leave anyone dependent on foreign support. Compare this to Eugenia's voluntourism experience in India, where she connected with an orphanage. She spent several days with girls in the orphanage and even became Facebook friends with a few--but she never did anything for the orphanage besides have fun. Anecdotes abound about why volunteering at an orphanage can be harmful, including exploitation of young children and psychological impacts of several short-term visitors. In short, she was a voluntourist who didn't take any time to consider why she was there and how she wanted to contribute; it was simply an experience she felt good about. We don't want to say that individuals shouldn't go abroad and experience other communities and realities. But we want to encourage reflection on the set of values that should guide us through that experience -- like respect, communication, collaboration, and sustainability -- which we don't see in casual voluntourism. We also understand that not everyone can afford to take a sustained trip abroad. 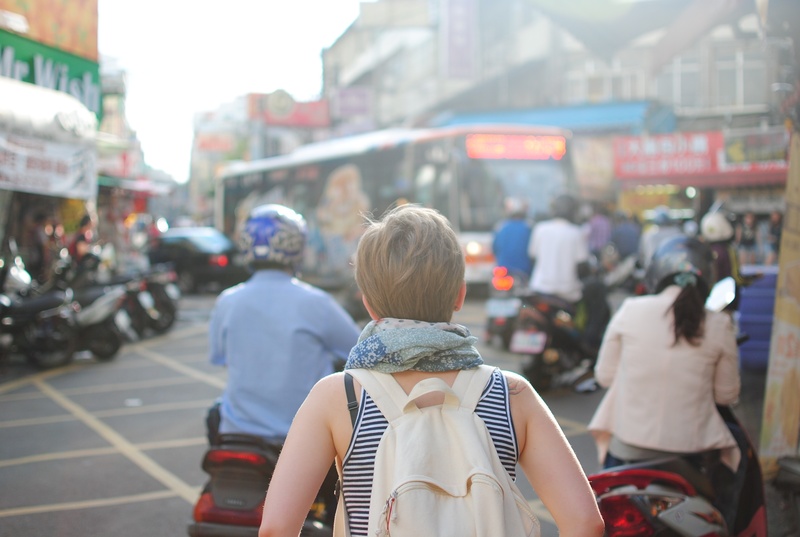 If you insist on volunteering abroad for a short time, these questions and values should still help you frame your experience. It's time to discard the outdated ideas of voluntourism. Redefine the experience by asking yourself what your true motivations are for the work, and challenge yourself to introduce empathy and learning into the equation. By reframing volunteering abroad as a Leadership Growth Experience, you will not only better serve yourself, but also the communities you are interacting with.